In the past, if you had a tooth with a diseased nerve, you would probably lose that tooth. Today, with a special dental procedure called root canal treatment, your tooth can be saved. Root canals are a relatively simple procedure that entail one to three office visits. Best of all, having a root canal when necessary can save your tooth and your smile! A tooth’s nerve is not vitally important to its health and function after the tooth has emerged through the gums. Its only function is sensory: to convey the sensations of hot or cold. The presence or absence of a nerve will not affect the day-to-day functioning of the tooth. When a tooth is cracked or has a deep cavity, bacteria can enter the pulp tissue and germs can cause an infection inside the tooth. If left untreated, an abscess may form. If the infected tissue is not removed, pain and swelling can result. This can not only injure your jawbones, but it’s detrimental to your overall health. Without the proper treatment, your tooth may have to be removed. Teeth that require root canal therapy are not always painful. However, signs you may need a root canal include severe toothache, pain upon chewing or application of pressure, prolonged sensitivity or pain in response to hot and cold temperatures, a dark discoloration of the tooth, and swelling and tenderness in the nearby gums. If you experience any of these symptoms, contact our office. Root canal treatment entails one to three visits. During treatment, Dr. Delaney or an endodontist (a dentist who specializes in problems with the nerves of the teeth) removes the affected tissue. Next, the interior of the tooth will be cleaned and sealed. Finally, it is filled with a dental composite. 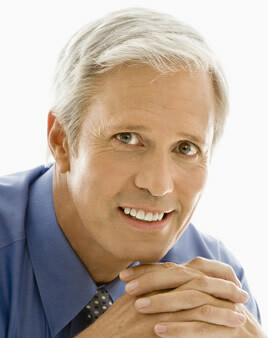 If your tooth had extensive decay, your doctor may suggest placing a crown to strengthen and protect it from breakage. As long as you continue to care for your teeth and gums with regular brushing, flossing, and checkups, your restored tooth can last a lifetime.